The clocks have sprung forward, and the chirping of birds have returned. All of this can only mean one thing: spring is here again! While we are ecstatic at its return, we thought it would be helpful to show you how to get your home excited as well. Keep on reading to see some of the tips that we’ve compiled to help your house get ready for the new season! Okay, sure, the whole “spring cleaning” cliché is, well, cliché . However, giving your home a deep clean doesn’t have to be like the traditional “deep cleaning” like changing out the curtains or cleaning the carpets. If you have a fireplace and used it during the winter, call in a professional to come clean it, or call in someone to clear out the dust and dirt that has piled up in your ducts (spoiler alert: there is a lot of dust hidden in your vents, even if you don’t see it). Take advantage of a warm weekend to clean out your gutters, or power wash your exterior. By doing these little tasks here and there, not only will you feel good, but your house will look great—not to mention it will all help with the overall value of your home should you decide to sell in the spring. With warmer weather on the horizon, your garden will soon come back to full life in no time. 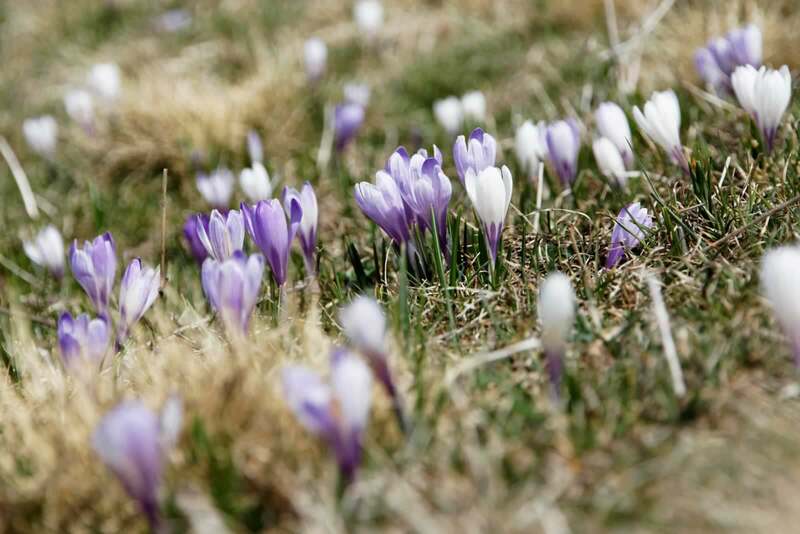 However, before the flowers pop up, do yourself a favor and make sure that the soil is ready for a great season. If you have the time, get your soil tested so you know exactly what to add in order to make this year’s garden the best one yet. Or, if you are a little short on time, lay down a fresh layer of mulch. In the time between now and when you start planting, organisms in the dirt will have already started to break down the mulch, which means that your garden is now a fertile patch of land to work with. Regardless of whether you are looking to put your home up on the market in the coming weeks or not, giving your interior a fresh coat of paint is a simple and great way to bring in the new season. Lay out the tarps and start lathering on some warm neutral colors like a soft gray, ivory, or even navy. Already have neutral colors on the wall? Give it a fresh coat anyway—you’ll thank us later once you see the results. In short, you should not be the only one getting ready for the changing of the seasons. With a little love, care, and time, you can make sure that your home is ready to face whatever the season has in store. For more tips and tricks for homeowners, be sure to check back to our blog regularly!